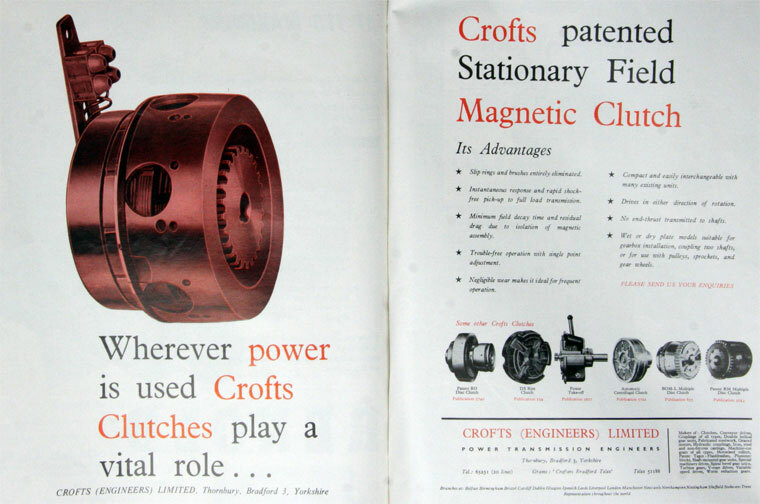 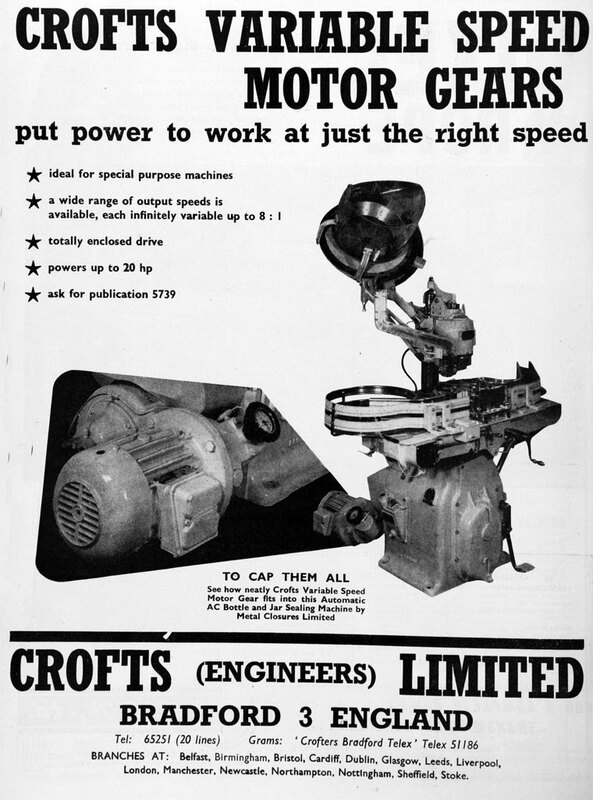 Crofts (Engineers) of Thornbury, Bradford. 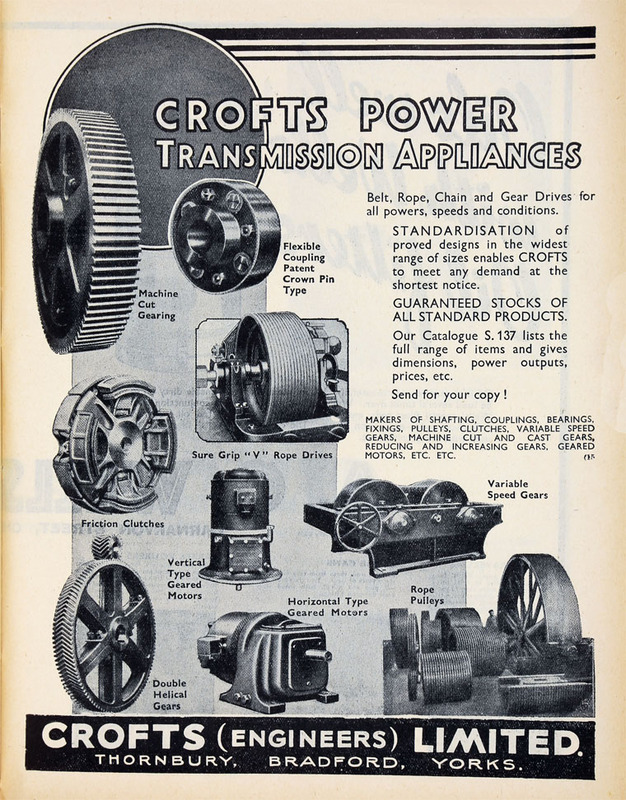 1927 Advert for power transmission appliances. 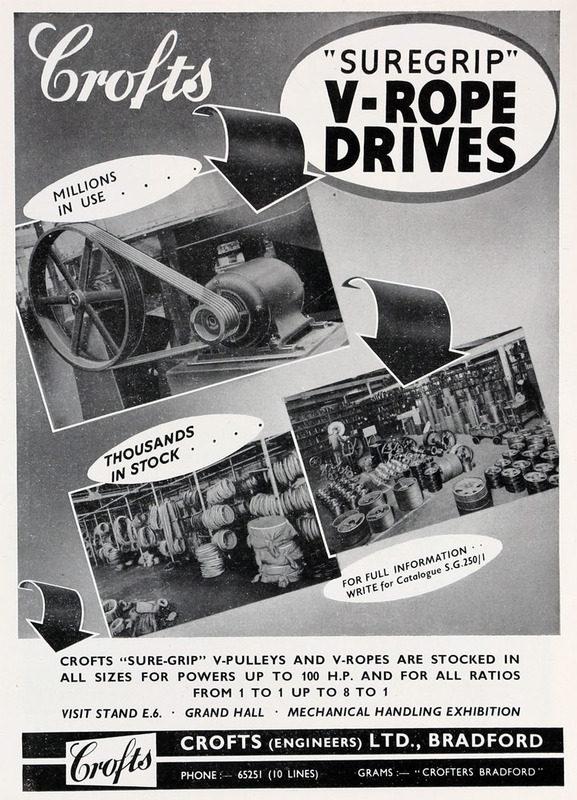 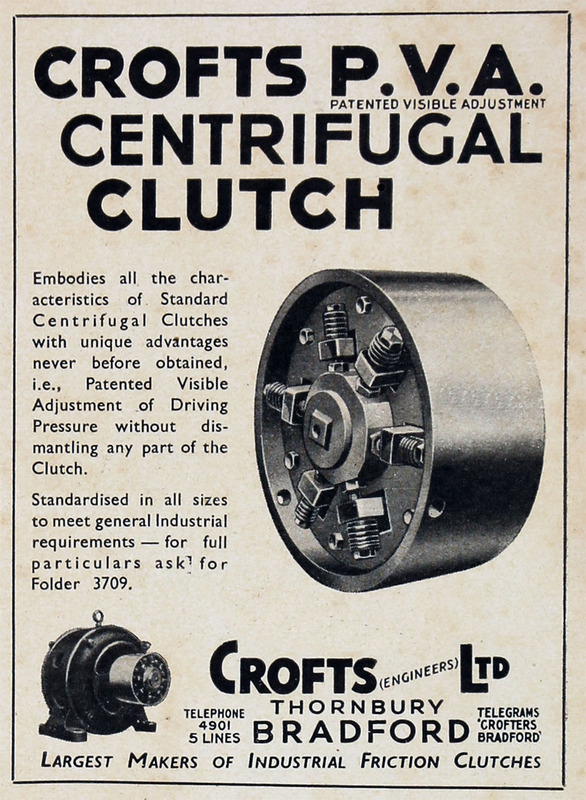 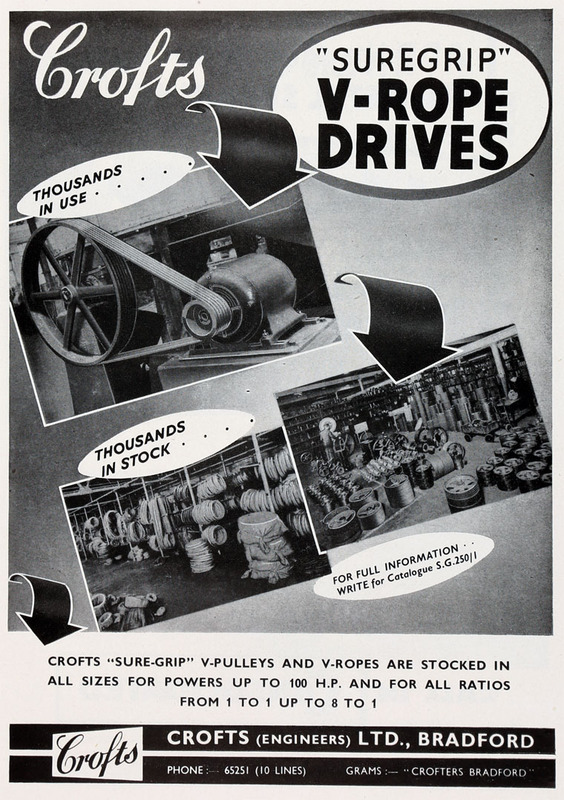 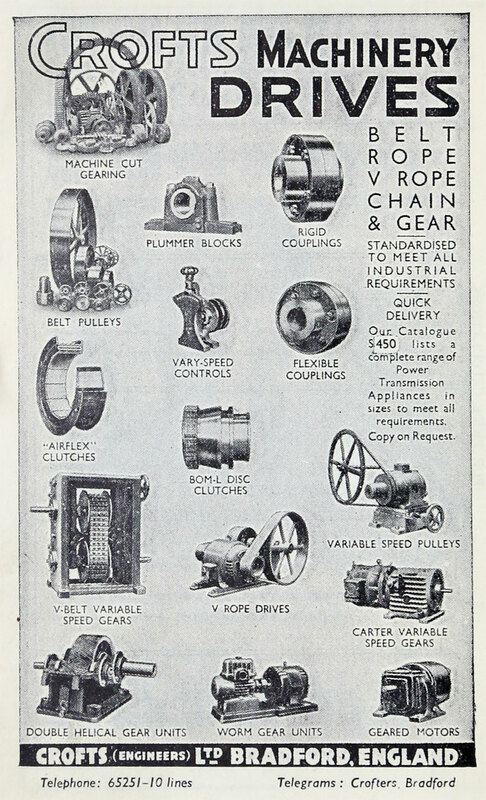 1936 Advert for belt, rope, chain and gear drives for the textile industry. 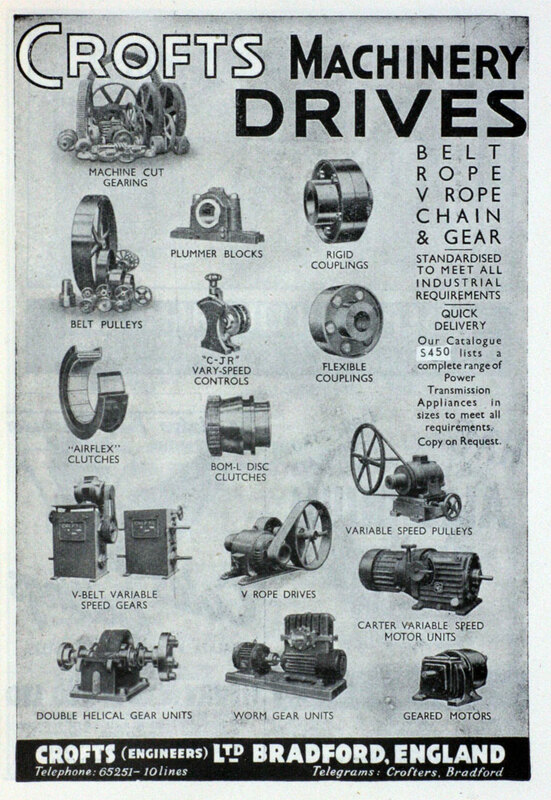 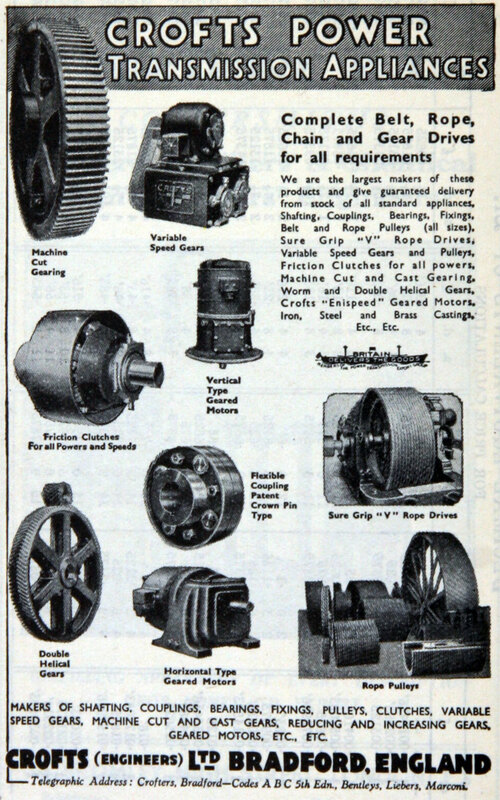 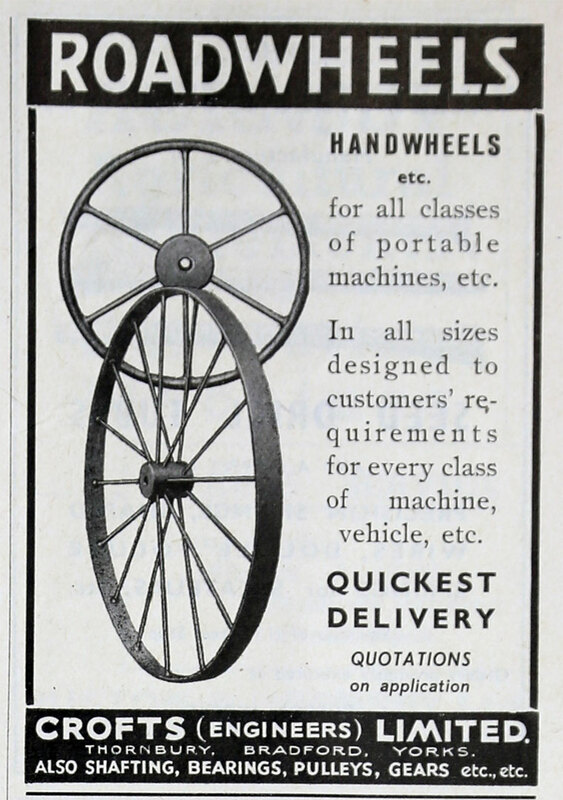 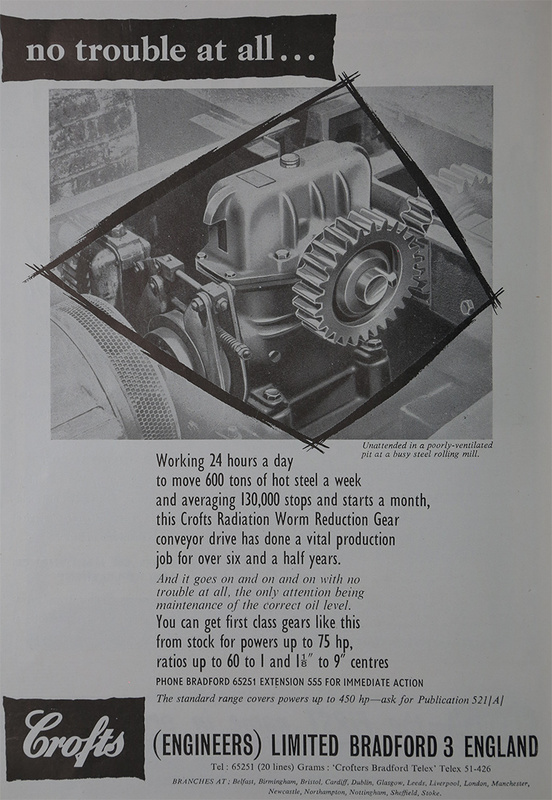 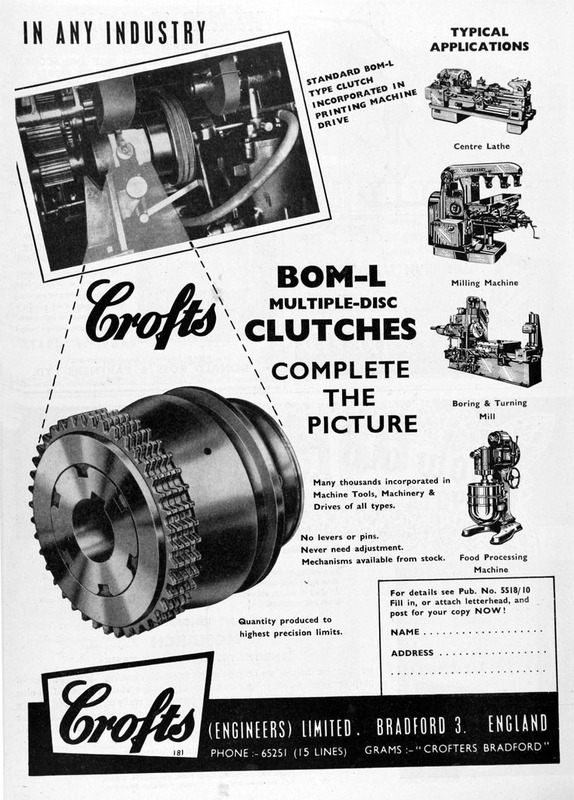 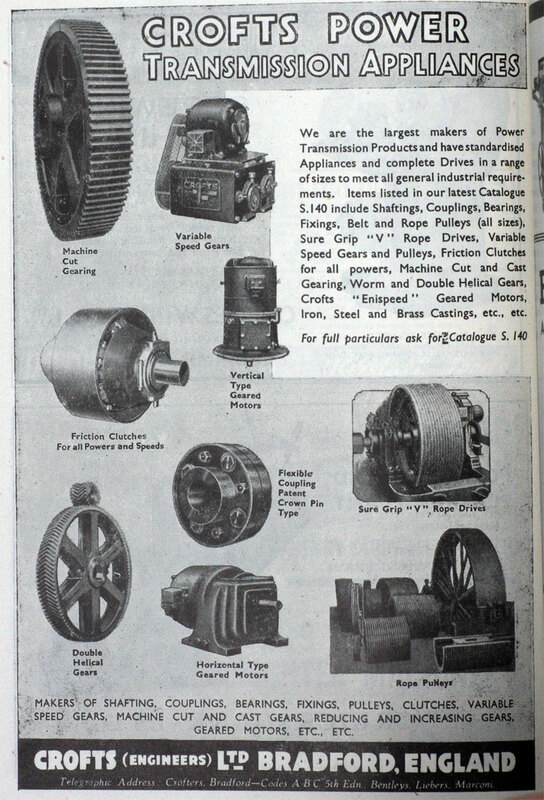 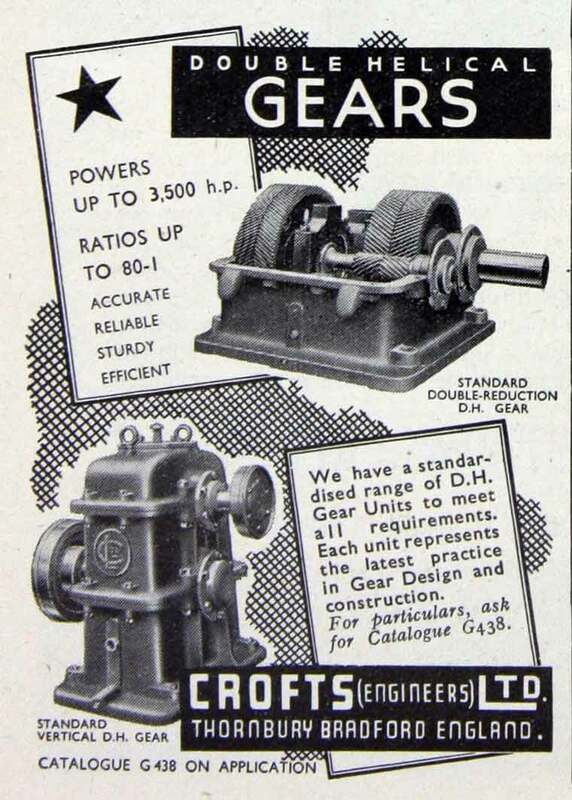 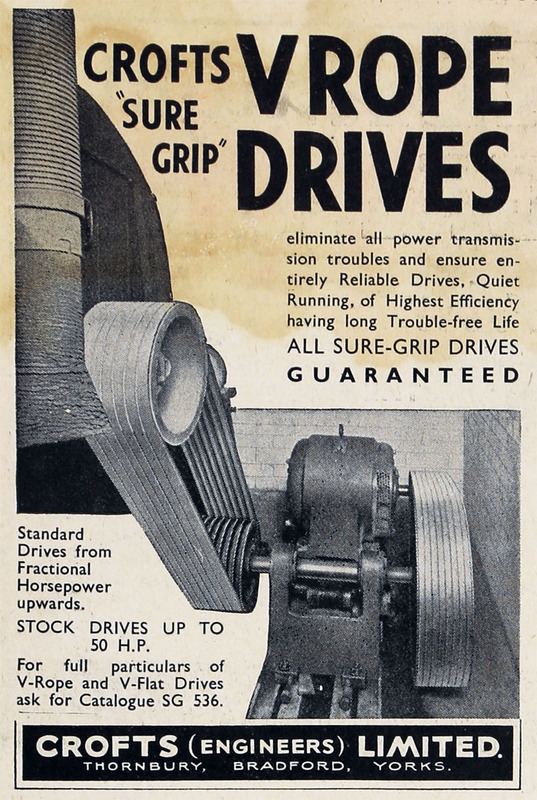 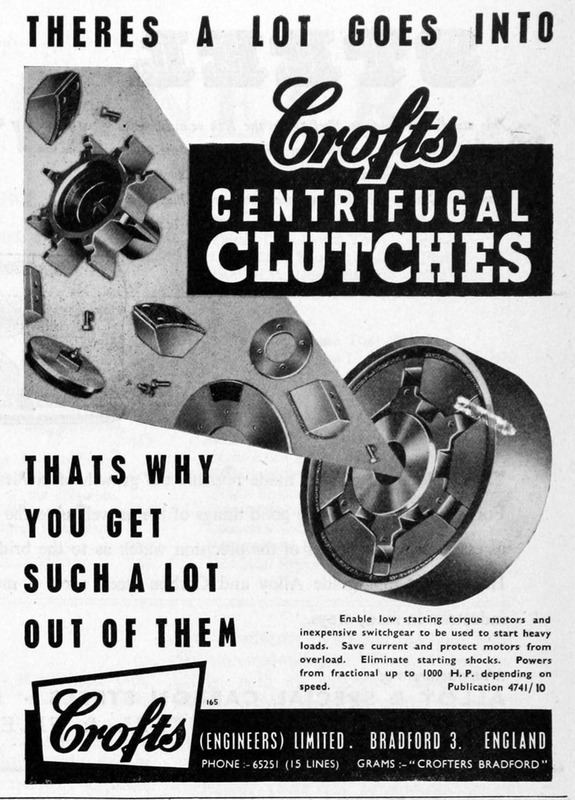 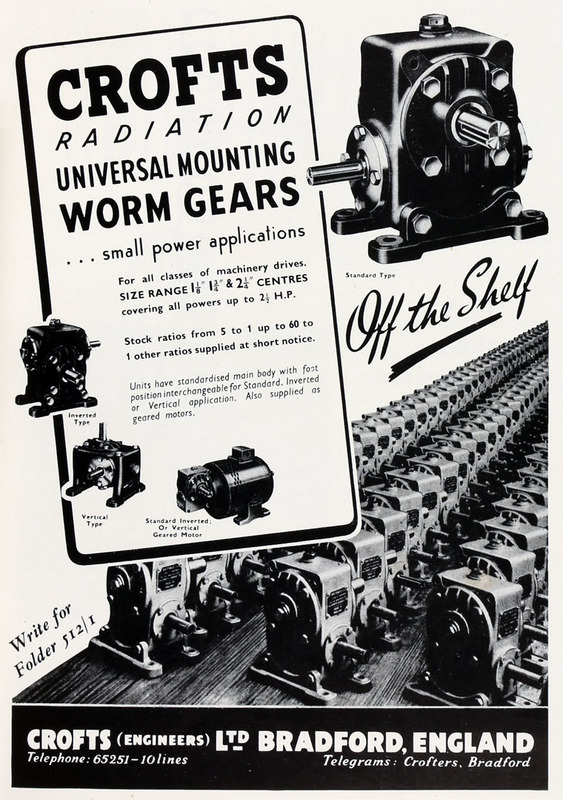 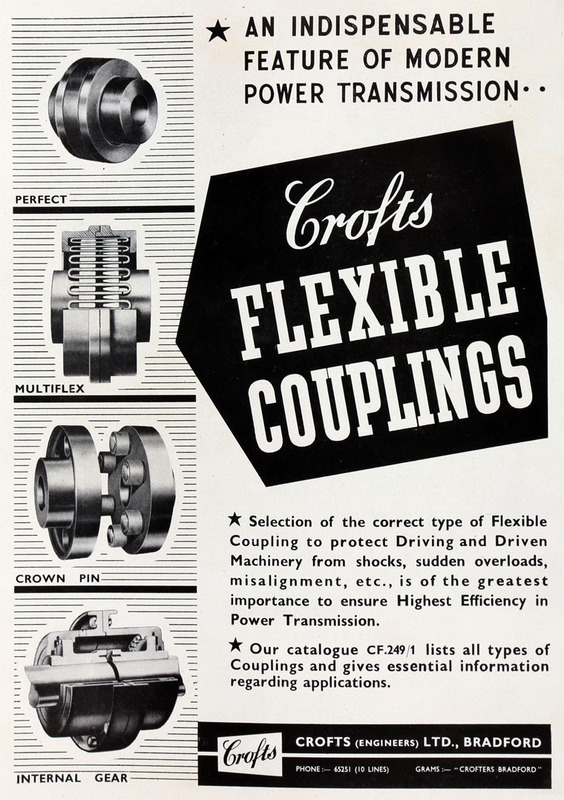 1940 Advert for belt, rope, chain and gear drives. 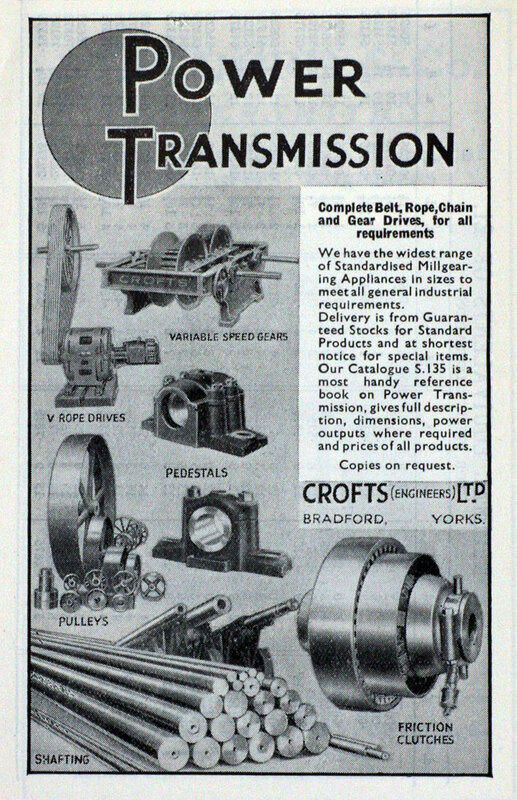 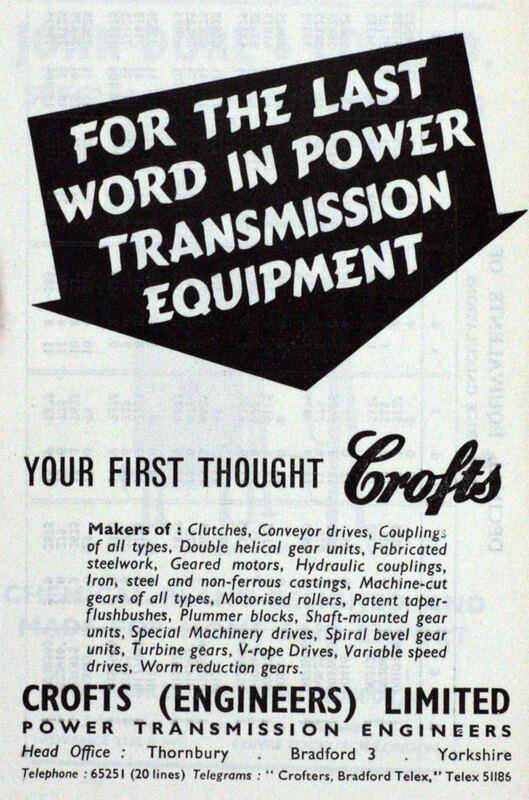 1945 Advert for transmission appliances. 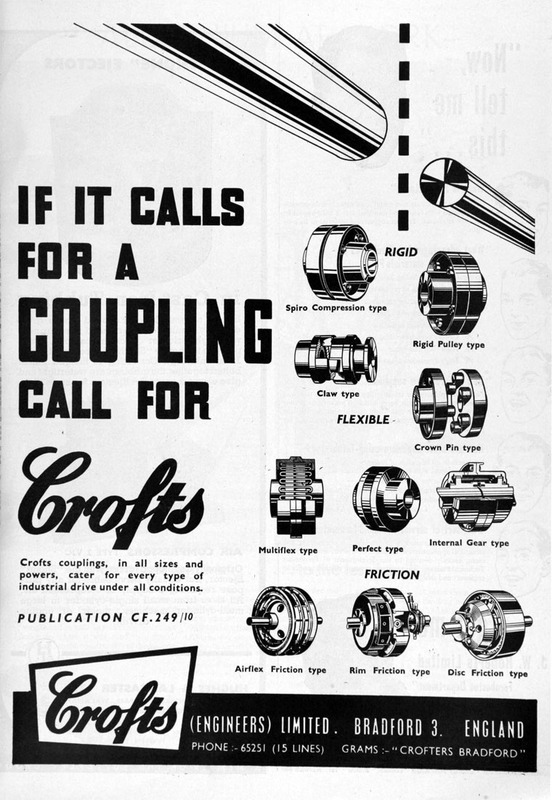 makers of shafting, couplings, bearings, fixings, pulleys, clutches and much more. 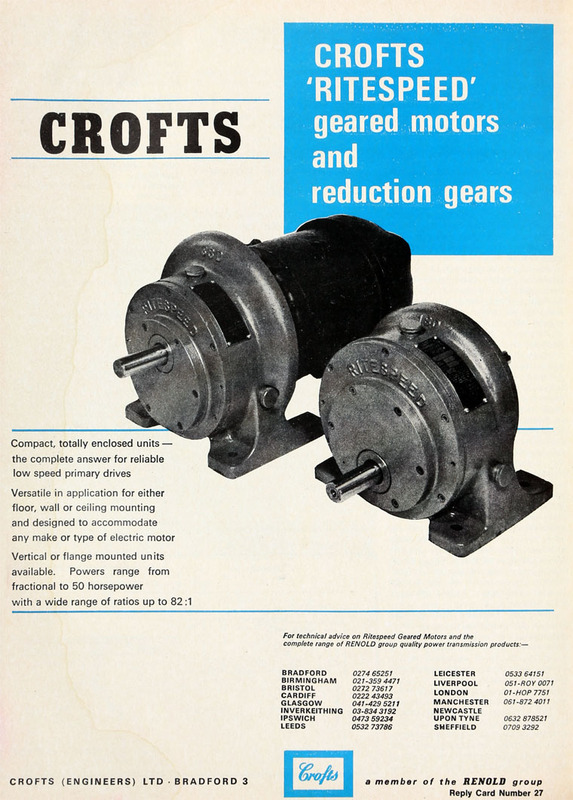 This page was last edited on 15 November 2018, at 07:43.